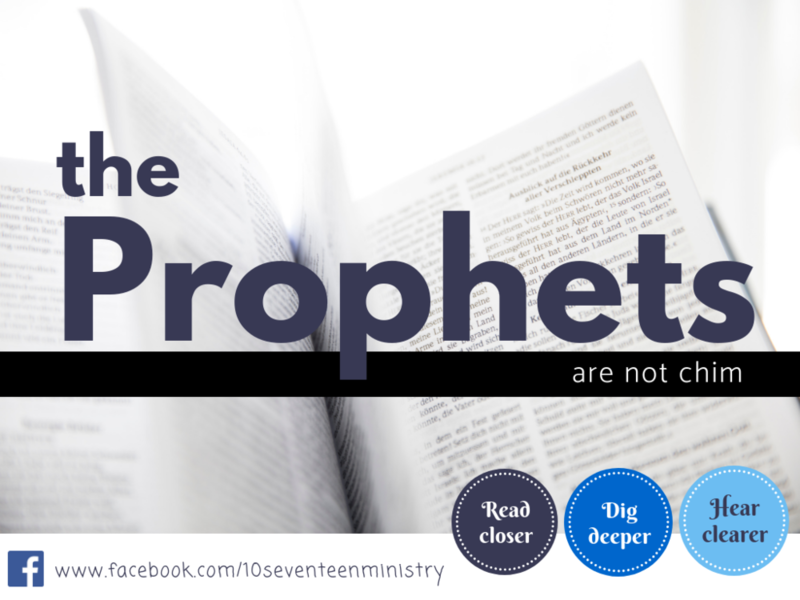 The 17 prophetic books that wrap up the Old Testament are, collectively speaking, one of the hardest sections of the Bible to understand and interpret. Yet, they form one of the richest accounts of God and His relationship with His beloved people. Within the 450 years that span these 17 books, the heart of God is revealed - we see a God who has a good and perfect plan for His people, who is saddened by their rejection, frustrated by their stubbornness, yet compassionate in correction, and merciful in judgement. Unfortunately many people avoid the prophets because they are arranged in a confusing order and much of the historical context is omitted. Furthermore, the prophecies cover time periods that are pre-exile, post-exile, end-time. The audience can be Israel, Judah, Ninevites, Egyptians, Moabites, returned-exiles and so on. No wonder we are so confused! As a result, aside from a few well-known verses, most people find it hard to understand or relate to them. This talk will provide you with the information and the tools to finally put the big picture together. *see how the prophecies of the coming Messiah fit into God's plan for the redemption of Israel and rest of the world. Stephen Chan was a Technology Operations Manager in a large investment bank for more than 10 years before God called him out to be a teacher of the Bible. He has been serving in Bedok Methodist Church’s Children Ministry and working with youths and their parents since 2009. Although Stephen has taught the Bible to children from P1 to Secondary Schools, his passion is in equipping parents to mentor and lead their children in a life of faith in Jesus Christ. Stephen has taught in Vacation Bible Camps, Youth Camps and spoken in churches and given public talks on a variety of topics and issues ranging from leading family devotions, effective bible study, sexual purity, parenting, video gaming and cyber wellness.